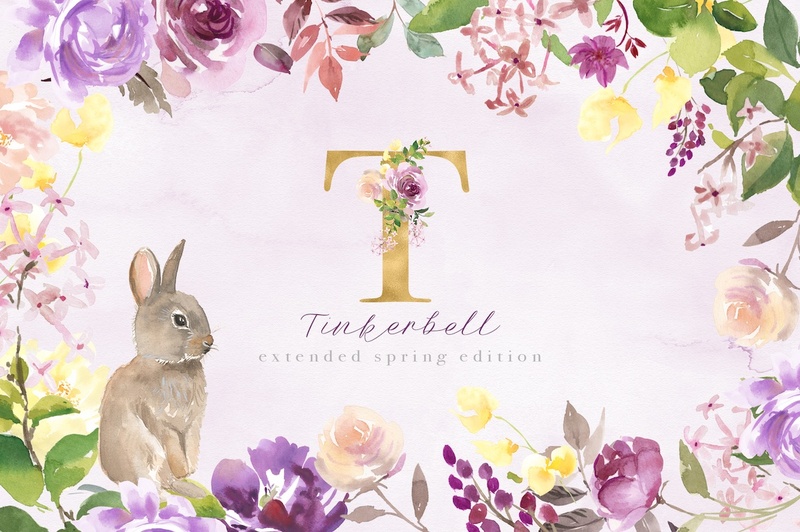 I’m excited to introduce you to an extended version of my Tinkerbell graphic set, featuring lots of Easter and Springtime goodies. 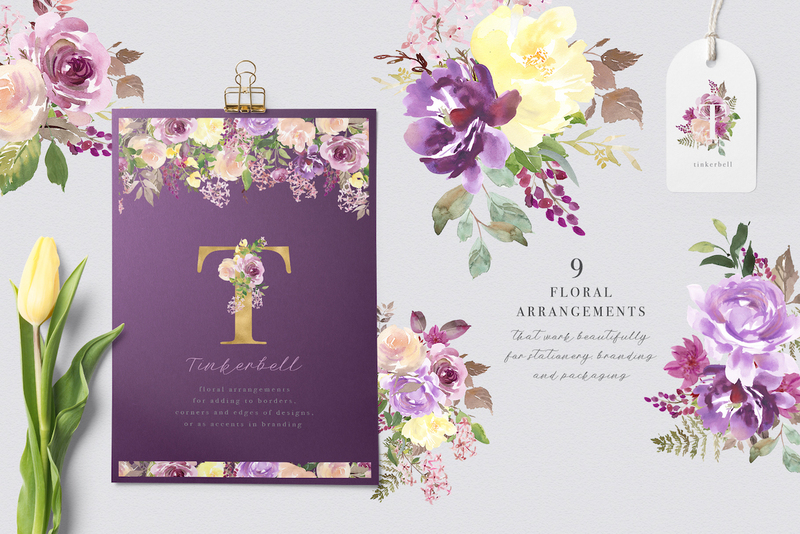 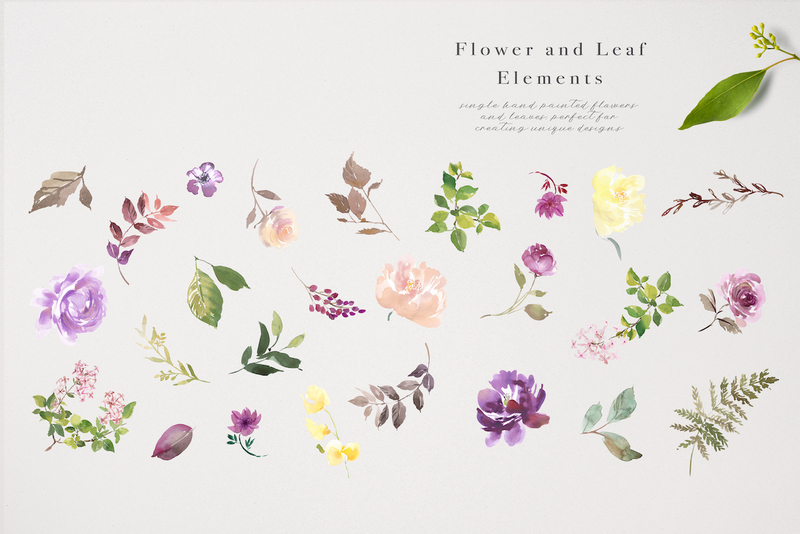 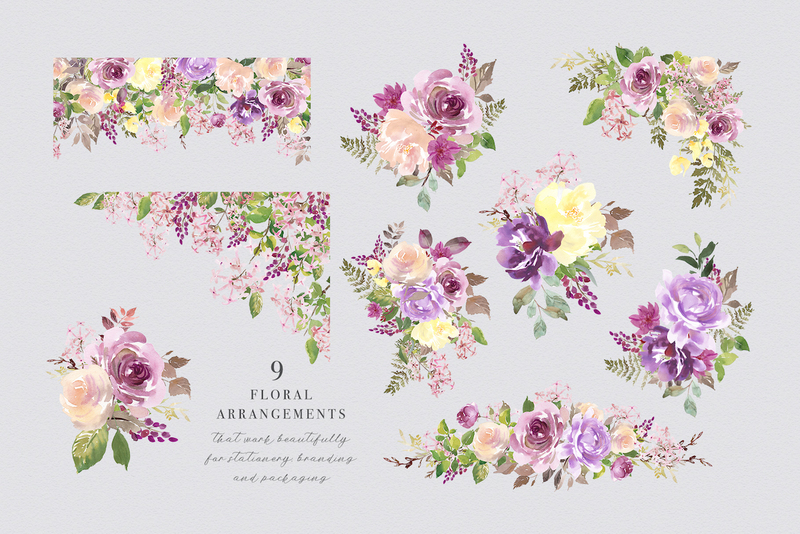 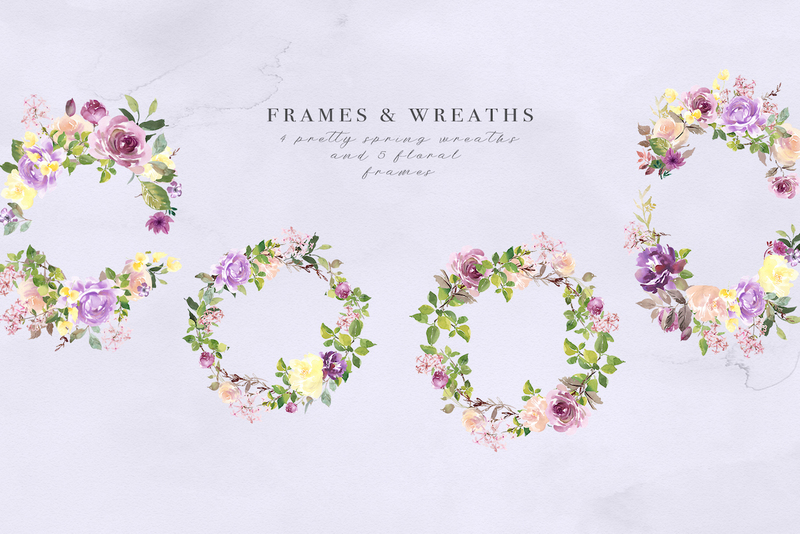 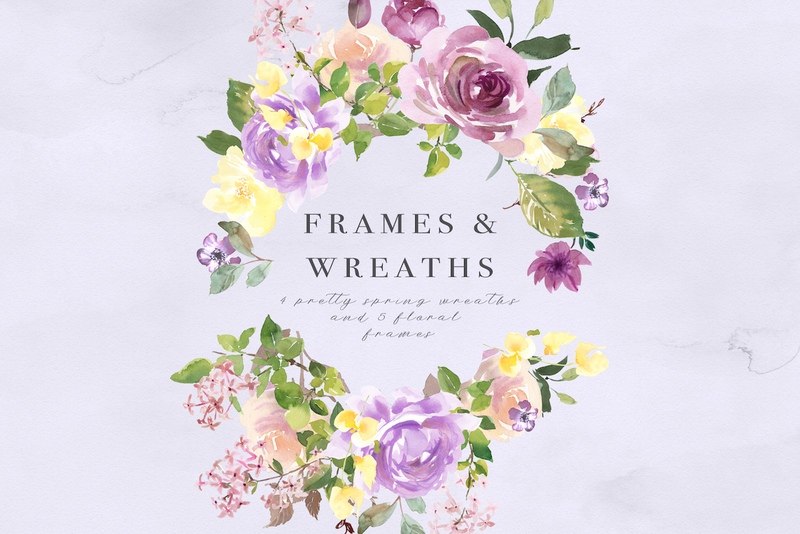 This graphic pack includes all the floral elements and arrangements from my original Tinkerbell set and adds lots more. 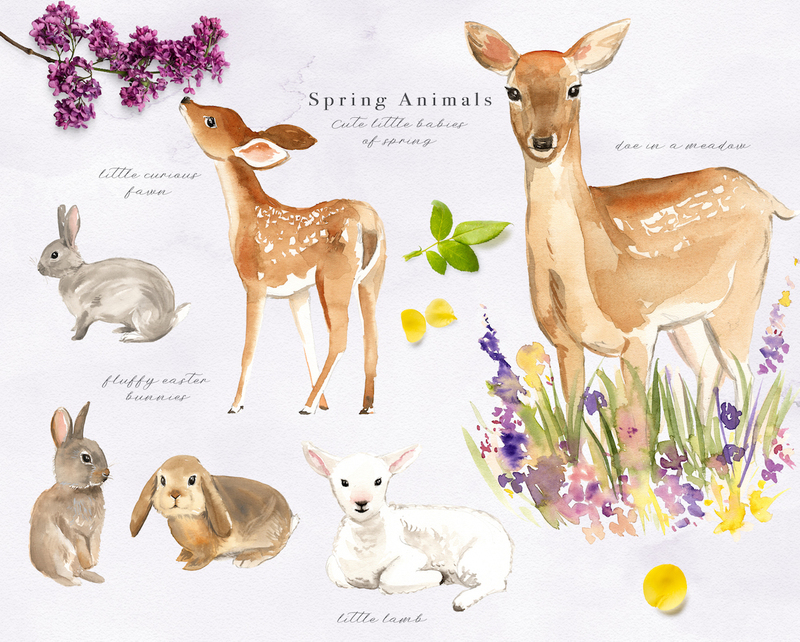 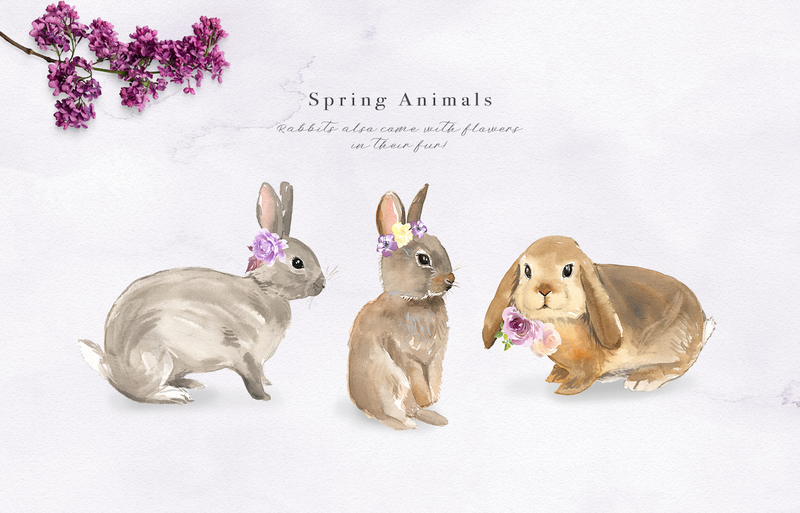 You’ll find more arrangements, wreaths, and frames, plus some cute springtime bunnies, a doe and fawn, and a lamb. 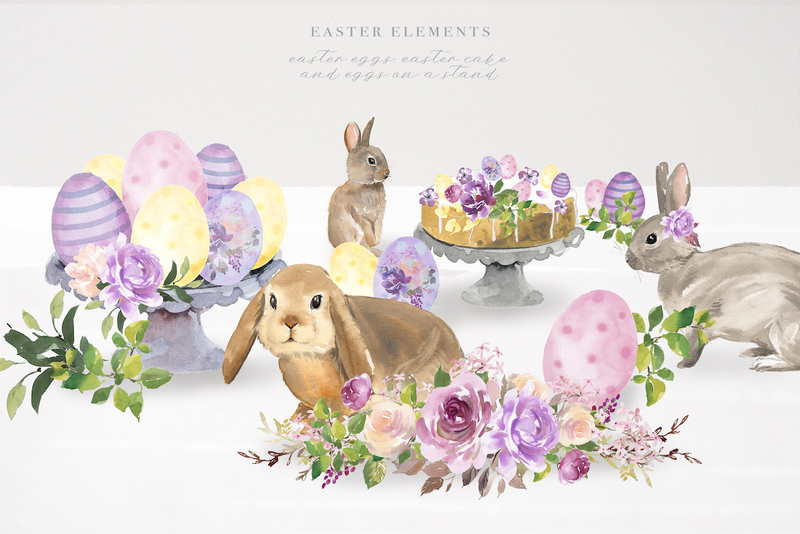 There are also Easter eggs and other Easter party goodies. 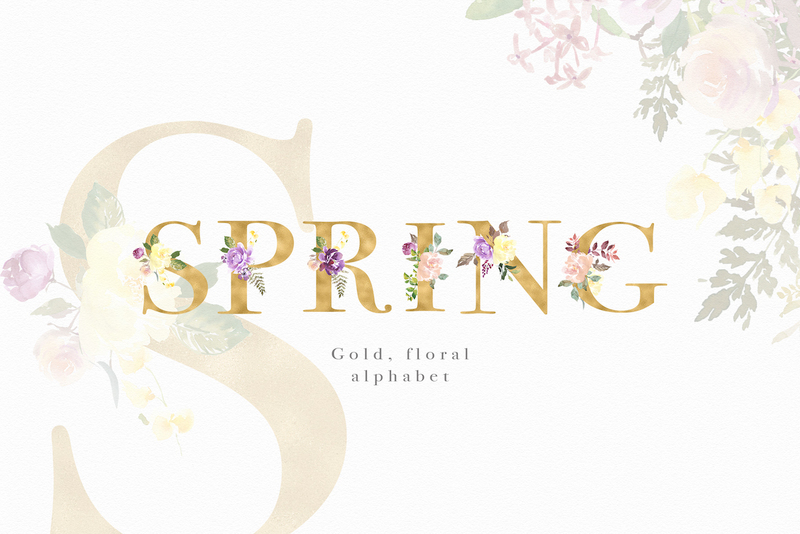 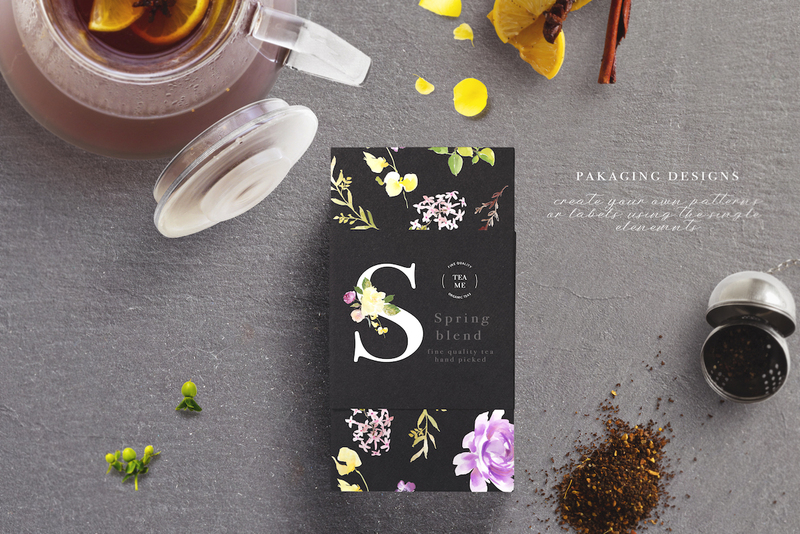 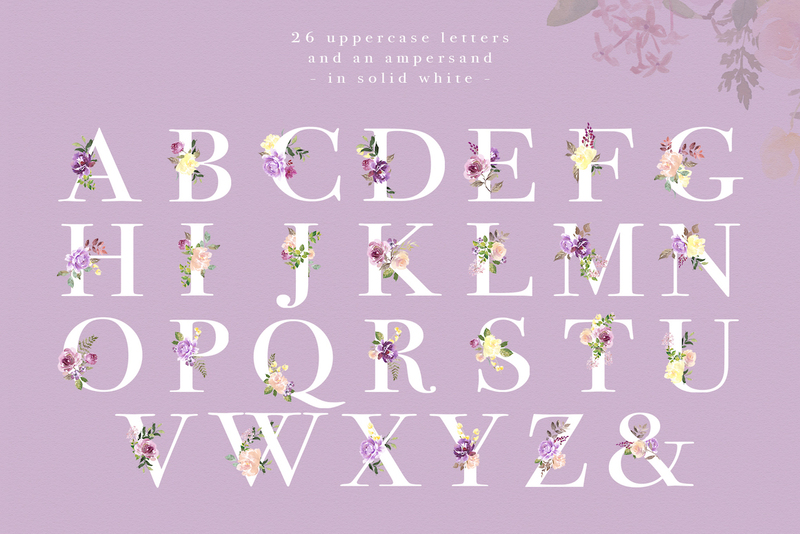 I’ve also included two alphabets adorned with beautiful florals. 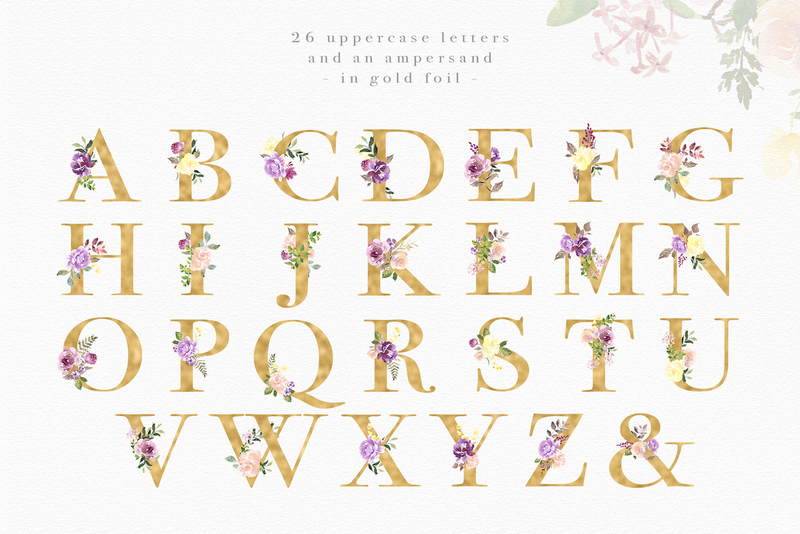 One is in gold foil for a classic and striking look, while the other is in block white, giving the alphabet a fresh modern feel. 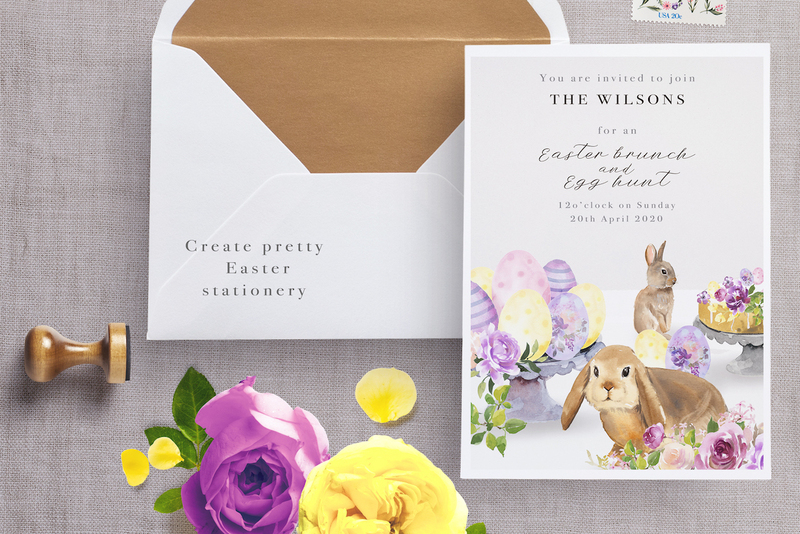 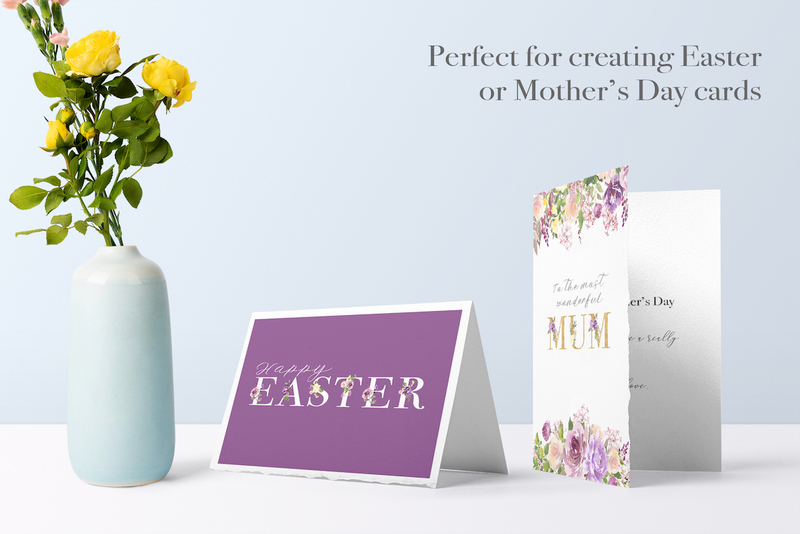 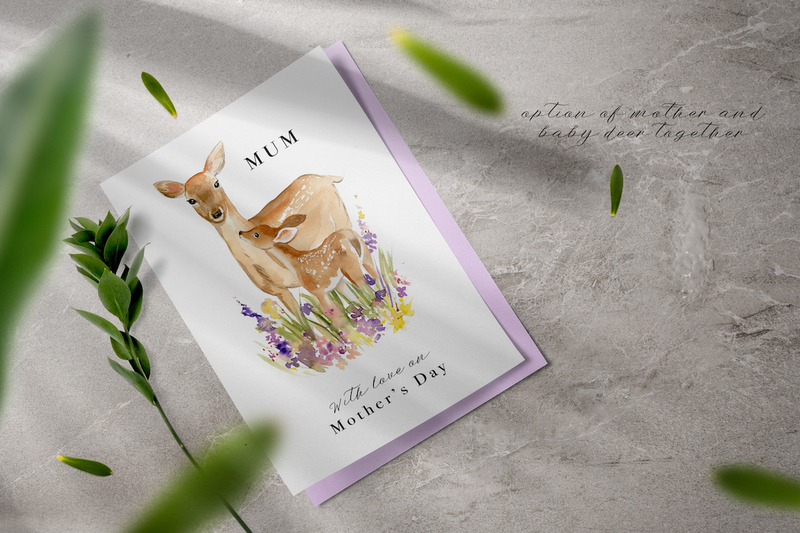 All the graphics have been hand-painted in watercolour, carefully scanned at high resolution, and then cropped to remove the background presenting you with a flexible range of high quality resources that would suite a wide number of personal and commercial projects.